This year has already brought a lot of opportunities for all the aspiring candidates who dream to get a government job in a reputed organisation. Bank jobs like SBI PO, one of the major exams of the year, and NIACL AO are lined up in the upcoming months aimed at selecting the best candidates from the lot. Talking of SSC and railway exams, SSC Calendar 2019 has been already released and SSC CGL is scheduled to be held from 4th June 2019. Railway also announced bumper vacancies with RRB JE exam giving a chance to go into the technical field. To ace all these examinations, one needs to be well prepared and well versed with all the subjects of the said examination. 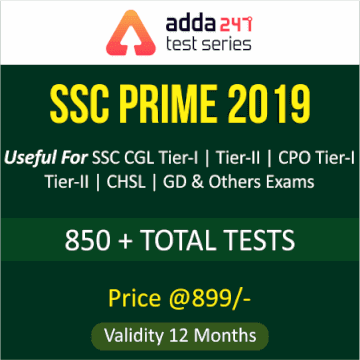 To help you practice the vast syllabus, ADDA247 has come up with Study Plans for all these exams to make sure your practice is consistent and up to the mark.